1) What are the core values of the René Furterer brand? The René Furterer products are rich in natural active ingredients (100% natural essential oils and plant extracts) to treat hair and scalp and to guarantee optimum efficacy. The range is dedicated to both beauty and healthy hair care needs. René Furterer is based on a 3 step routine: Prepare and stimulate the scalp to enhance treatment, clean and treat your hair. 2) So René Furterer products are really much more than just hair care? They are so much more! 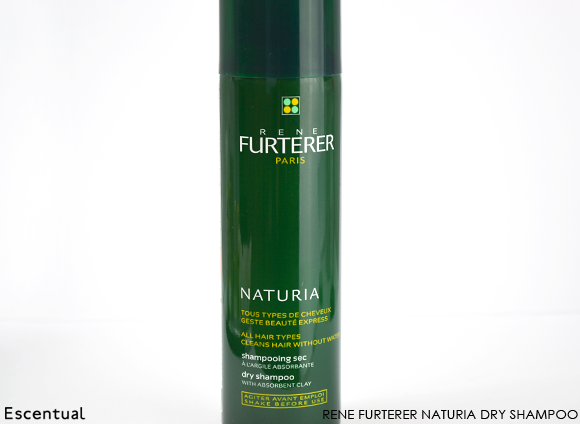 Passionate about nature, René Furterer developed products based on natural active ingredients for beautiful hair. Today, in association with Pierre Fabre Laboratories, products benefit from pharmaceutical standards and innovative formulas. This is where the concept of Dermo-Cosmetics comes from – pioneered by Pierre Fabre – products dedicated to sensitive or vulnerable hair unlike traditional cosmetics which are suitable for healthy hair. Our researchers test and formulate our products as if they were medicines, putting science behind every stage of a product’s development. To put it in its simplest terms a standard cosmetic product is meant for healthy skin and hair while a Dermo-Cosmetic product is also for sensitive skin and hair with common ‘concerns’ such as irritated scalp, coloured or dry hair. While these conditions may not necessarily require medical treatment, a dermo-cosmetic product may be used in conjunction with a doctor’s recommended course of treatment. In terms of testing, Dermo-Cosmetic products undergo safety tests but also self-imposed, rigorous clinical trials, which are then objectively measured and evaluated, just like medicines. 4) What would be your three ‘desert island’ Rene Furterer products, and why? Prepare with Complexe 5: It tones the scalp and fortifies the hair. It regenerates the scalp in preparation for treatment to follow and it prepares the scalp for treatments by stimulating microcirculation. 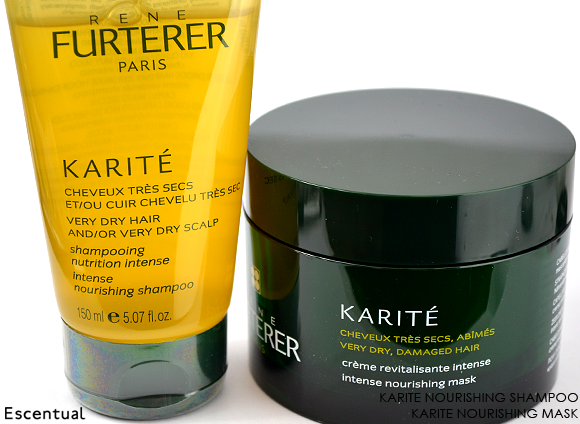 Treat with Karité Intense Nourishing Mask: This is THE cult and iconic product within the René Furterer range. Rich in shea butter, it detangles, softens and gives an intense nutrition to the dry hair. Specific for very dry scalp and dry hair, this should be applied once a week. 5) What is your most invaluable haircare tip? A good way to get an even distribution with René Furterer Dry Shampoo is to spray it onto a brush and sweep the brush through the hair. This will allow the product to distribute evenly and leave the hair feeling weightless. 1) What are the causes of hair loss? 2) Which Rene Furterer products are best for those who are concerned with hair loss, and what sort of ingredients should they be looking out for? 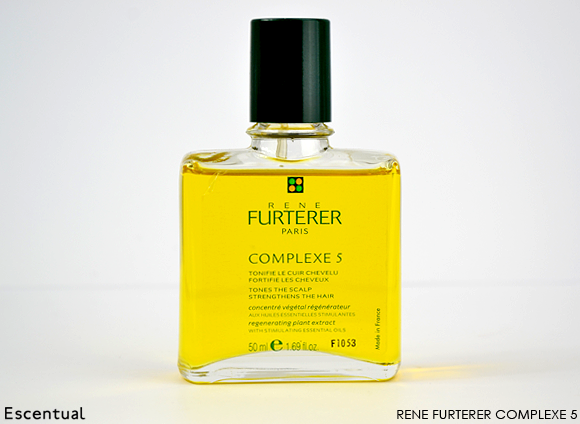 You will first prepare your scalp with Complexe 5 to follow the René Furterer 3 step routine. In combination with the treatments listed below, people suffering from hair loss can use the Forticea shampoo. It gently cleans and strengthens hair whilst optimising the efficacy of hair loss treatments. For reactive hair loss, RF80 is the product to recommend. It helps to slow down excessive hair loss, helps to stimulate hair growth and helps to improve hair’s natural strength. This will be used as a treatment for 3 months. For progressive hair loss, Triphasic VHT+ is the treatment to use. It helps to slow down gradual hair loss and helps to improve hair’s natural strength. This will be used as a cure for 3 months. This will be used as a treatment for 3 months, twice a year. 3) How can I maintain my hair colour in between hairdresser’s appointment? The OKARA range is dedicated to coloured hair. The combination of Hamamelis (rich in tannins to set colour) and Okara (to restructure and regenerate the hair) will help to maintain and set the colour within hair’s keratin. Use our OKARA Radiance Enhancing Shampoo to clean and maintain colour intensity. It will be used in conjunction with OKARA Radiance Enhancing Mask to repair hair deep down and enhances intensity of colour. 4) My hair is very fine and lacks ‘oomph’. Can you give me some tips for boosting volume? The VOLUMEA range is dedicated to fine hair. The range contains carob extract which volumising properties will create volume from the roots to the end. Use our VOLUMEA Volumising Shampoo to gently clean and provide body texture to fine hair. It will create volume and refreshes the hair. To enhance the benefits of the shampoo, use the VOLUMEA Volumising Conditioner to detangle and give long-lasting volume! 5) Which ‘emergency’, quick fix product would you recommend? Our dry shampoo: To revive hair without the need for water, simply hold the can roughly 30cm away and spray onto the roots. Leave for 2 minutes and brush out thoroughly to create textured tresses that feel fresh and more manageable for constructing an up-do. The dry shampoo is a great product to keep in your handbag during the festival season or for a quick fix after work before heading to a party. My hair has been relaxed many times and coloured as well as abused by the straightener every day! I was at the end of my hair rope and I tried so many products and masks (not to mention all the expensive in-salon reconstructive treatments! ), but none seemed to help. When I tried Karite', I was so happy from the very first use I could not believe it! It has literally healed my hair, which is now soft, strong, doesn't break off anymore and has finally grown out nicely. You have to be consistent, since the shea butter (karite')works every time you wash your hair, time after time, it's a powerful ingredient which re-alligns the cuticles and mends your hair shaft, nourishing and feeding the dry parts. You have to try it to understand, it's simply a miracle! This entry was posted on Thursday, June 27th, 2013 at 9:00 am and is filed under French Pharmacy, Haircare, Special Post, Spotlight On. You can follow any responses to this entry through the RSS 2.0 feed. You can skip to the end and leave a response. Pinging is currently not allowed.